Ancestral Connections, the genealogy summer school held at University College Cork, will take place from 26 June to 2 July. To mark this year's important centenary of the Easter Rising, this year's school is sub-titled Roots to the Rising and will include a number of presentations about the turbulent early-C20th decades our ancestors lived through. 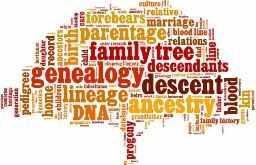 This genealogy summer school offers a complete course in the latest Irish genealogy research methods and resources. All aspects of the subject are covered by a series of presentations and ‘hands on’ workshops given by some of Ireland’s leading genealogical lecturers and experts. All levels of Irish family historian are catered for in the programme and there is a range of packages on offer to suit different research needs. In addition to the lectures and workshops, a number of field trips are offered featuring sites and locations in Cobh, Spike Island, Fota House, Youghal and Beal na Blath, as well as evening visits to Cork City. Find out more about Ancestral Connections: Road to the Rising 2016.